There are a growing number of digital signage resellers and customers that are exploring how they can replace their current digital signage content management system (CMS). At Sysview we offer those looking to make the switch to our platform, all of the support and advice required. Based on Sysview, you can choice any Android based hardware, and Sysview help you save 70% cost on software. No need any third party software, just need a computer, internet connection then you can finish broadcast design and manage 10~1000 display terminals . When you purchase a Sysview licence, all software update and support are included for the lifetime of your licence. · Sysview solution can be host on local server for faster access and white brand/ rebrand. In this way, you can use Sysview solution even without internet connection. · Evaluation of your existing digital signage player hardware to determine if it can be utilised to run Sysview . · Technical proof of concept to demonstrate that Sysview can work on your existing digital signage player hardware. 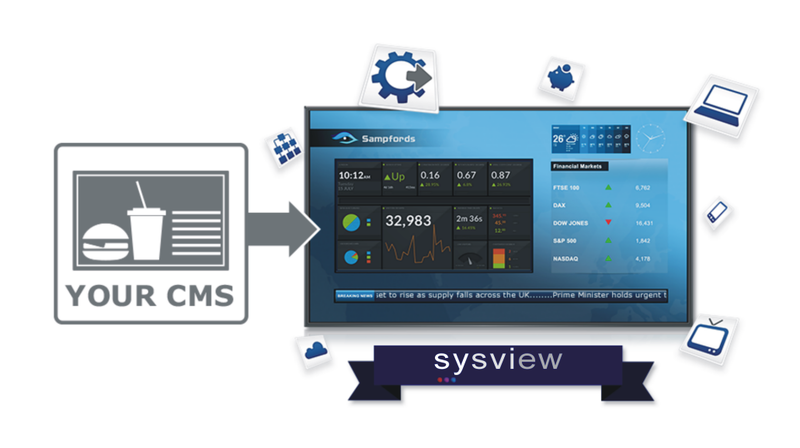 · Remote support via services such as TeamViewer to assist in converting your digital signage player hardware to Sysview. · Recommendation of new digital signage player hardware that you might wish to purchase to replace or add to your existing devices. · Introduction to our partners, where required; to provide on-site installation and maintenance services to assist in moving over to Sysview. · Support, every step of the way. Our Customer Experience Team are online and a click away from assisting you with any questions or advice required to make the switch to Sysview an easy one.